Part Five in a series celebrating the 100th Anniversary of Edith Wharton’s novel The Custom of the Country. Edith Wharton was fascinated with marriage and divorce as subjects for fiction. She began work on The Custom of the Country in 1907, but set it aside to write two other novels. Ethan Frome was published in 1911 and The Reef was published in 1912; both explore questions about marriage and desire. In her short story “The Other Two” (1904), the heroine’s third husband ends up in an awkward situation having tea with the first two husbands. The Custom of the Country is an extended meditation on a similar situation, as each of Undine’s husbands comes to terms with her previous marriages. The novel was published in 1913, the same year that Wharton divorced her husband of twenty-eight years. Teddy Wharton was from an old Boston family, and he had graduated from Harvard (barely), but he had very little sympathy for his wife’s literary and cultural interests. A few years before her divorce, Edith Wharton wrote to her friend John Hugh Smith about marriage as a literary subject: “I wonder, among all the tangles of this mortal coil, which one contains tighter knots to undo, & consequently suggests more tugging, & pain, & diversified elements of misery, than the marriage tie—& which, consequently, is more ‘made to the hand’ of the psychologist and the dramatist?” (12 February 1909). Here’s what the protagonist in “The Other Two,” Waythorn, thinks about his marriage: “He had fancied that a woman can shed her past like a man. But now he saw that Alice was bound to hers both by the circumstances which forced her into continued relation with it, and by the traces it had left on her nature. With grim irony Waythorn compared himself to a member of a syndicate. He held so many shares in his wife’s personality and his predecessors were his partners in the business.” Marriage and divorce as more business than passion—the custom of the country. 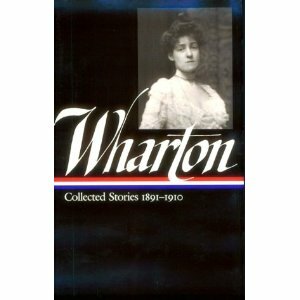 Collected Stories, 1891-1910, by Edith Wharton (New York: Library of America, 2001). The Letters of Edith Wharton, ed. R.W.B. Lewis and Nancy Lewis (New York: Macmillan, 1988).